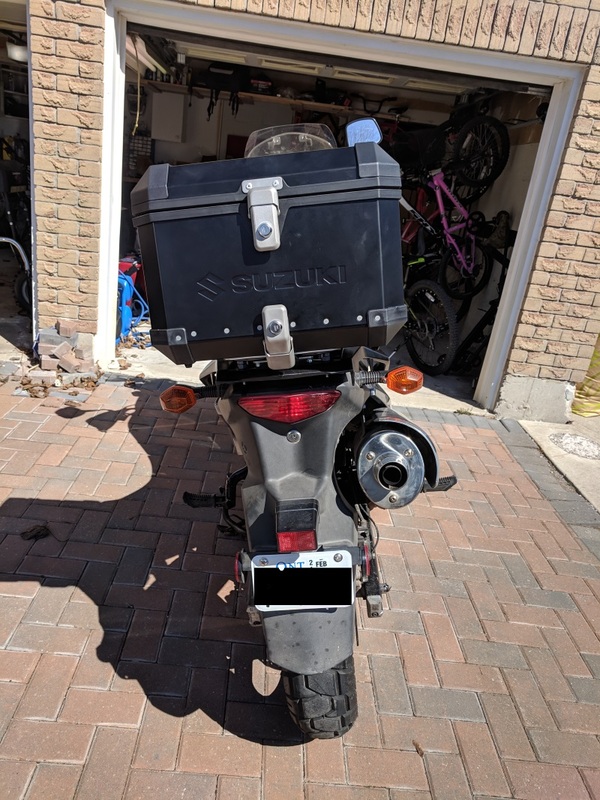 As you may have heard, Suzuki Canada currently has an amazing deal on their 38L aluminum top box kit. Problem is it's for the '12-'16 models and I've got an '07. 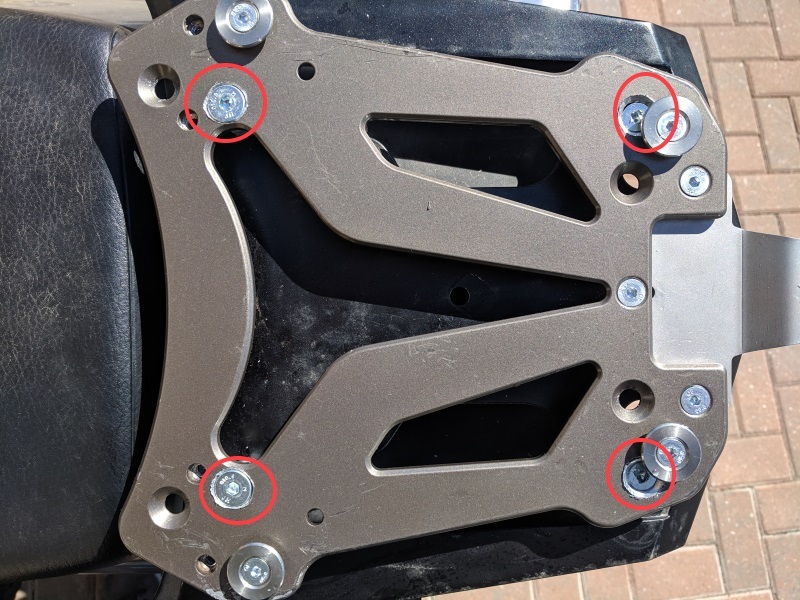 Initially I thought that given they seem to be Suzuki branded SW Motech's, maybe I can just pickup a compatible mounting plate for the similar SWM line of boxes. 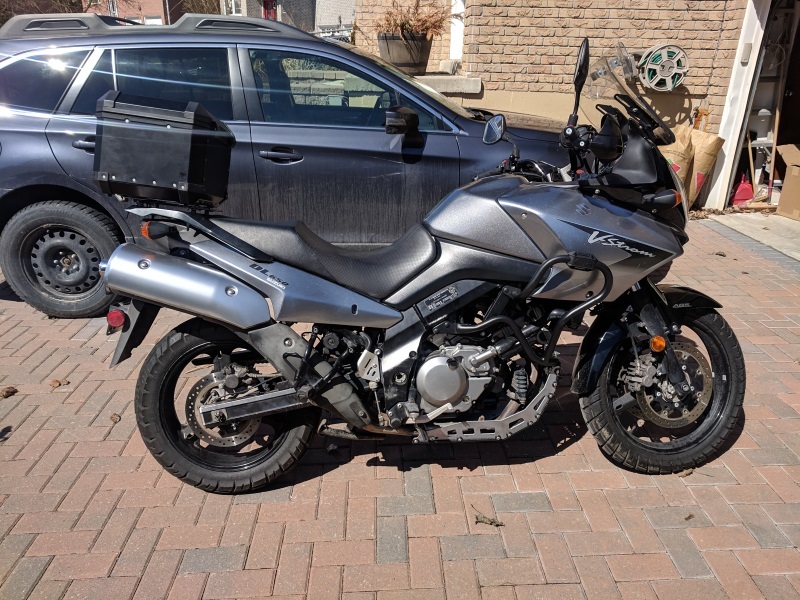 I've since come across some comments indicating that the bolt pattern on the Suzuki plate (and box??) differ from the original SW plate. I'm wondering if any of you have experience or suggestions on mounting this box on our older model wee. 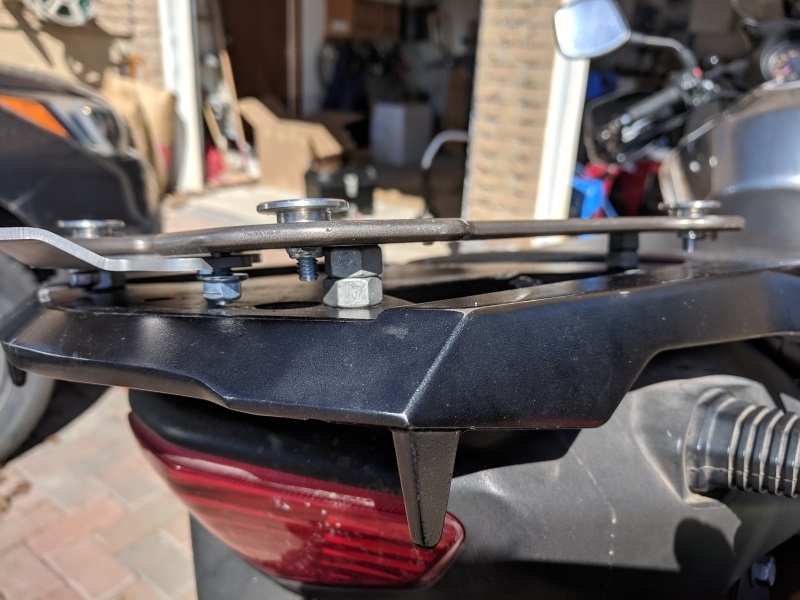 So I ended up buying the kit and improvising a mounting solution. The box is very secure, no play at all. Also think it looks pretty good. - Getting the seat on and off requires a little bit of fiddling to clear the front of the plate. Not a big deal, but in retrospect I should have drilled all the holes a couple mm forward, which would have worked out better. - You can see some scratches on the edges of the plate from sliding the box on and off. The plate is curved such that the edges interfere with bottom of the box. Not sure how this is supposed to work on the intended model. I had to bend the edges down a bit to get the box to slide into place. When/if I find a bit more time I may try and fabricate another more suitable plate, but in the meanwhile this setup will work just fine.